Macanudo cigars are America's most-requested premium cigar. Always mild, aromatic, and easy to draw, these fine cigars are handcrafted in the Dominican Republic with silky Connecticut shade wrappers that are triple-fermented for extra smoothness. 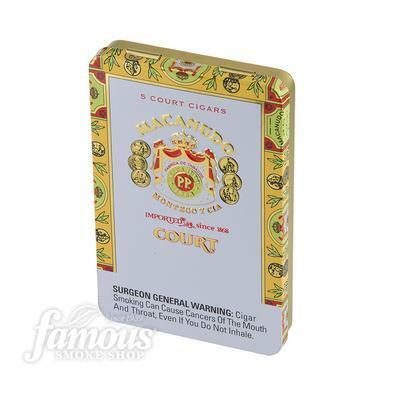 From the little Ascots to the towering Prince of Wales, Macanudo is recommended for both sexes and to those new to premium cigars. Every cigar smoker should experience Macanudo's creamy flavor and sweet aroma at least once in their lifetime.